By Kristin Petersen, SEH, Inc.
3-D printing, also called “additive manufacturing,” is a disruptive innovation that has changed the manufacturing landscape. It's been applied to everything from medical technology to aerospace engineering to fashion. 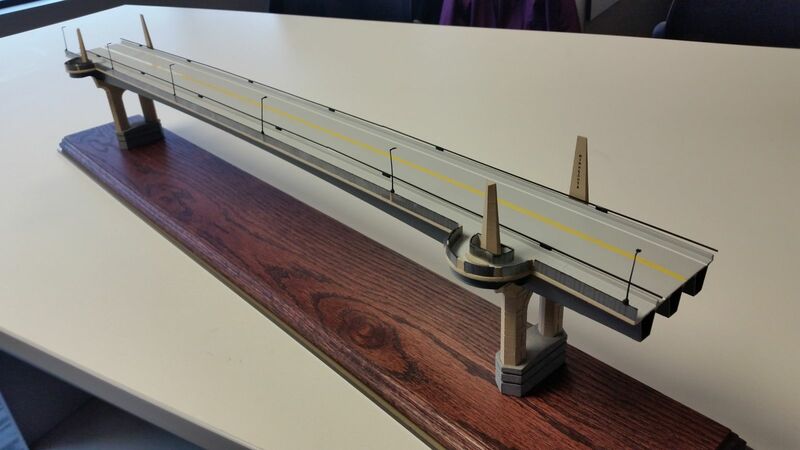 3-D printing is also changing the world of infrastructure projects. More than providing design efficiencies for engineers, it is helping local and state governments streamline the public involvement process on large, complex transportation projects. Public involvement and agency coordination are critical components of any infrastructure project. Both have a common challenge in sharing understandable and technically rich design information. What happens when a project manager at an agency and one of their many stakeholders can stand together in the same room and physically touch a project? Having an accurate physical representation of the project in your hands and visible from all angles makes visualizing the project easy for anyone. It’s a universally effective way to convey the complex details of a project while getting more informed, actionable feedback. The advent of 3-D printing technology allows more flexibility to quickly assess and adjust a design as the project is refined through the design process. These alterations can be reflected in the model to give the public a continuous understanding of changes to the project’s scope. 3-D printed models can also be used to show the phases of a project by having removable parts that can then be added to represent the timeline. How does it work in the real world? 3-D printed models have been used with great success at a series of public involvement meetings in Red Wing, Minnesota. 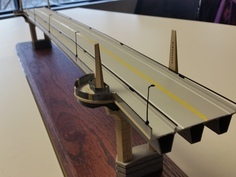 The models have helped stakeholders quickly visualize the design of a new bridge over the Mississippi River. The use of physical models is not a new concept. Today, however, with 3-D printers and laser cutters—both with lightning-quick production speeds that do not compromise quality—we can introduce physical models with greater speed and less effort.